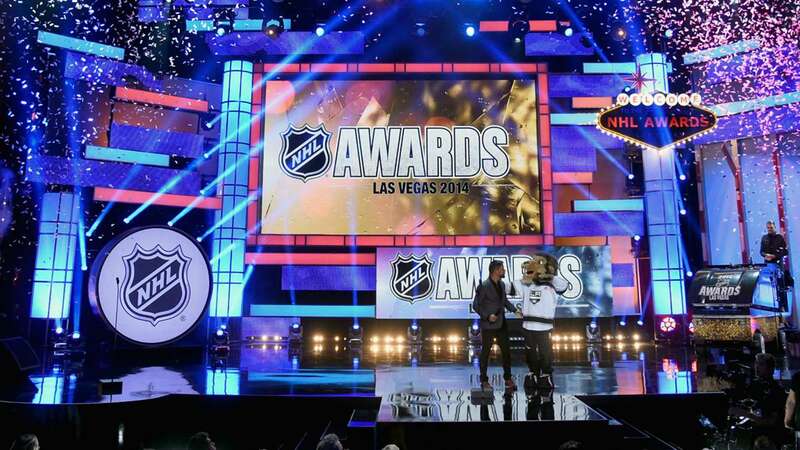 Did The NHL’s Awards Go To The Right People? This column is primarily focused on the NHL awards, but since the Draft provided us some trades, I’ll cover those too. Also, even though I didn’t cover the Draft (due to lack of knowledge), I have a couple thoughts on the top prospects. Oh yeah, we’ll touch on the latest signings too. I’ve typically been in the “We need to separate goalies from the rest of the players.” group, but Carey Price’s season was so ridiculous, I let off that gas. Price led the league in wins (44), save percentage (93%), and GAA (1.96). 64% of the time, Price’s starts were considered quality. Usually, I’d be against a goalie winning MVP. It’s kinda the same argument with pitchers in baseball (though pitchers and goalies each have their own award). However, if you don’t have a goalie, your defense faces pressure, and your offense has to score, a lot. Just ask the Wild. Perhaps the most impressive stat for Erik Karlsson this year was his PGA. The abbreviation is a little confusing. PGA is simply how many power play goals were scored when that player was on the ice. Karlsson played in all 82 games, and in those games, there were only six power plays goals scored against him and his team. Trust me, he’s a big part of that. His +/- was a +7, only increasing his value. This was finally his season. I’m expecting even bigger things next year. I already covered this above. My first problem with this award was that Filip Forsberg wasn’t even nominated. If anything, I thought it should have been Forsberg in Ekblad’s spot. Forsberg’s +/- was an insane 15, while Ekblad’s was a very good 12. However, Ekblad’s point shares barely beat out Forsberg. Though, did Ekblad’s team make the playoffs? Did Ekblad’s team dominate the conference for a good portion of the season? Didn’t think so! Among the other nominees, I thought that there were better options. Johnny Gaudreau was insane all year on that very young Calgary team (more on them later). Mark Stone helped the Senators make the playoffs after a disastrous first half of the season. Maybe I’m relying on winning too much. But, there were guys who meant more to their team. Guys who made an impact. I guess I was a little surprised by this one. Bergeron continues to preform, but this season was a rougher one for him and his team. First, the PGA was really high, at 17. While that’s not all his fault, it’s definitely not a good stat to have under your belt. Bergeron’s +/- dropped to a 2, compared to a 38 last year. I thought one of the finalists, Anze Kopitar, deserved this award. There wasn’t any other option for me. Peter Laviolette in Nashville was a very deserving nominee, but what Bob Hartley did with Calgary was stunning and surprising. No one saw that young Calgary team in the playoffs, let alone winning a series. Perhaps the youth helped them, since they played with a tempo that murdered Vancouver in the first round. Hartley got these guys to play above their potential. This might be a silly award, but what Steve Yzerman has done with this team has been outstanding. First, getting them to the Stanley Cup was a shocker, for me at least. Secondly, the pickups that this team has made under his management have been great. Tyler Johnson went undrafted. Tampa Bay found him and developed him to the point where, well. Just take a look at those post-season stats. It was the way this team was built that got them to the Cup. A great goalie, an insane offense, and a defense that, in the postseason, stepped up. We had a lot of trades during the Draft, which I didn’t cover due to lack of knowledge. However, I do have thoughts on the top two picks. I’ll start with trades. Boston started cleaning house by sending Carl Soderberg to Colorado, where he ended up signing a lucrative deal. The Avalanche need a bit more development and leadership, but Soderberg was a great pick up. Dougie Hamilton got sent to the Flames, which gives them even more youth. That was the one move by Boston I didn’t like. Milan Lucic got traded to the Kings… which, ugh, those Kings. I hate them so much. But hey! They finally got someone who’s better on offense than defense! Goalie trades! Wow! Eddie Lack to Carolina. Antti Niemi (who’s name, even as a Sharks fan, I could never pronounce) to Dallas. Anton Khubobin to Anaheim. The Rangers traded Carl Hagelin and Cam Talbot during the Draft. We knew Talbot was getting moved, and Edmonton had the best offer. Talbot was amazing when Henrik Lundqvist was out. Yeah, Hagelin was really good, and super fast, but it got to the point where he didn’t seem needed. The Rangers were plenty deep, and he was playing 3rd line for New York. He only makes Anaheim faster. The Zac Rinaldo trade was comical by Boston. After trading Niemi, the Sharks got Martin Jones, who was traded from the Kings to Boston in the Lucic deal. Really like what Boston has gotten back on their trades so far. Sharks GM Doug Wilson said they’re making more moves…. maybe with bigger names. I was, of course, on a bike ride when the Brandon Saad trade went down. I was shocked, as everyone was. Look, we knew Chicago was gonna lose guys this Summer, but the one guy they weren’t supposed to lose was Saad, and if it meant trading Patrick Sharp, they would’ve. The problem was that Saad wanted more than Chicago could afford even with trading Sharp. I don’t blame him for asking that. It’s just a matter of situation, and we knew this was coming with Chicago. Columbus can give him that money. They’ll do it… Give them some leadership. He’s restricted, though. So there will be teams tapping out if the price on him rises. I wish that Chicago could have gotten back more on the return. One friend I talked to wanted more picks, rather than players. Then again, the players they got don’t cost much on the cap. It was a Saad day in Chicago, and for Blackhawks fans everywhere. Connor McDavid and Jack Eichel went No.1 and No.2 in the Draft. No surprise. I have no doubt that McDavid will be a star. The kid has so much talent at such a younger age. Eichel won’t be a McDavid-level star, but he’ll be very good. McDavid is a generational talent. We haven’t been able to say that since Sidney Crosby. Also, congrats to Jack Becker. He graduated Mahtomedi High School, which is 10 minutes from my house and a big rival of my high school. Was drafted by the Bruins at No.195 overall. Detroit knows that their stars don’t have a ton of playing time left. They took care of that today. Mike Green, who was, in my opinion, the best free agent out there, was signed to a three year, $18 million contract with Detroit today. The move is perfect. They have offense, and Green gives them that blue-line presence they need. It’ll be interesting to see how Brad Richards plays this upcoming season. It’s a one year deal for him in Detroit. Might be his last contract. Then the Phil Kessel trade happened. Man, I really didn’t think this was coming after they hired Mike Babcock. For Pittsburgh, they wanted more talent to avoid what happened this past season. They now have three of the top 13 highest payed players in the league. That return Toronto got… WOW. The returns everyone has gotten in trades have been great. Boston signed Matt Beleskey. It’s risky, but a necessary move for a re-builidng Boston team.